While the official start of summer is still a few weeks away, this week’s forecasted temperatures mean that the hot weather isn’t on its way, it’s here. And while we may be accustomed to the scorching heat, our pets often are not. Hot weather can prove fatal for cats and dogs, as they are unable to maintain their normal body temperatures if left outside for extended periods of time. 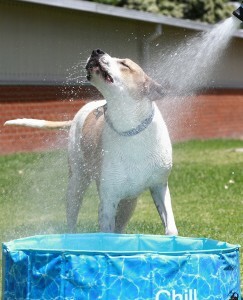 However, if you follow these simple steps, it is easy to keep your pet safe in the hot weather. Ensuring there is access to cool and clean drinking water. If you have a large dog, or your pet has a tendency of knocking their bowl over, use more than one bowl. 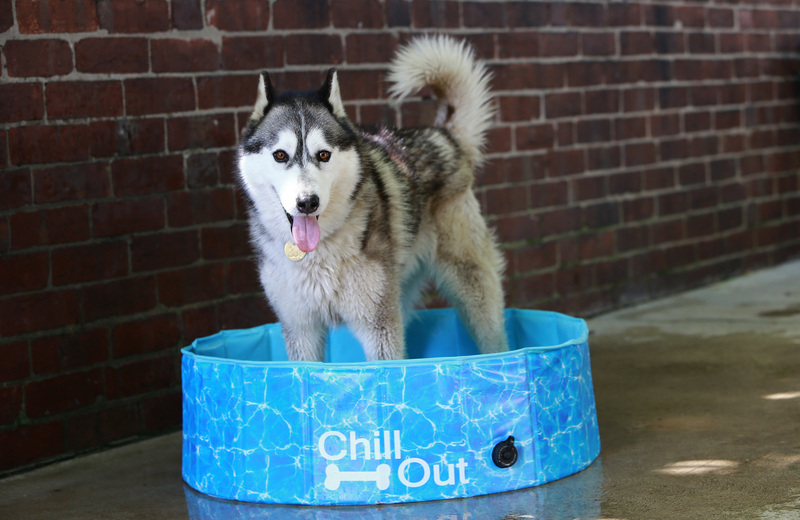 Keep the water cool by using large ice blocks in water containers. If you have an outdoor pet, make sure they have easy access to shade and water throughout the day. Make a note of the sun’s movement during the hours you are not at home, and make sure your pet’s housing is in constant shade. Exercise dogs in the early morning or late in the evening. Be mindful not to overexercise overweight or senior dogs. Seek advice from your vet should you have any concerns regarding exercise or diet. Under no circumstances should you leave your pet in a car unattended. The consequence of leaving them in the care, however briefly, can be fatal. Knowing these seven signs of heat stress is crucial for early diagnosis and treatment. More advanced signs of heat stress include dark purple coloured tongue, vomiting and seizures leading to death. Animals with flat faces, such as pugs and Persian cats, are more prone to heat stroke, as they can’t pant as effectively as other breeds of cats and dogs. Along with senior, overweight and pets with heart or lung conditions, these pets should be kept cool in air-conditioned rooms as much as possible. If you suspect your pet is suffering from heat stroke, get help form your vet immediately. Looking out for your pet’s well-being when it’s hot will make sure that the whole family can make the most of the warmer weather. If you would like more information about heatstress and your pet take a look at our fact sheet here.